Aurora Cellars Estate is a romantic ceremony and reception venue accommodating 80 to 300 guests. Overlooking rolling hills of Leelanau County, the estate features a Victorian Farmhouse completely renovated in 2015, a majestic willow tree near a pond, and a spacious outdoor patio surrounded by indigenous black walnut trees. 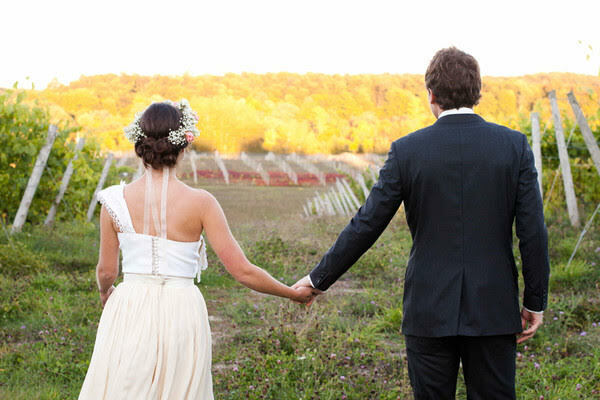 With the border of a chardonnay vineyard, the essence of romance is captured as the entire estate inhabits every bride and groom's individual style. With time to relax in the Farmhouse, which sleeps six, the hosts can be sure every detail is coming together for the special day. Aurora Cellars can recommend vendors they have worked with before, so whether celebrating close to home or hosting a destination wedding, all your plans will come to fruition at the lovely Aurora Cellars Estate. Chose from Aurora Cellars award winning wines and add your own beer and/or liquor to the bar, which is open until 11pm. Aurora Cellars Terrace, a new venue situated near the vineyard and old world-styled Tasting Room, will be exactly what a bride and groom are looking for when they are planning an intimate wedding for up to 80 guests. The ceremony and reception package includes an itinerary for the afternoon and evening. When the ceremony has finished, guests enjoy a cocktail hour on the Terrace. A complete Tuscan meal provided by professional caterers from Fogarelli's Market and Wine Shop is then served under the tent on the patio of the Tasting Room. A full reception takes place at the Tasting Room until 11:00 pm. 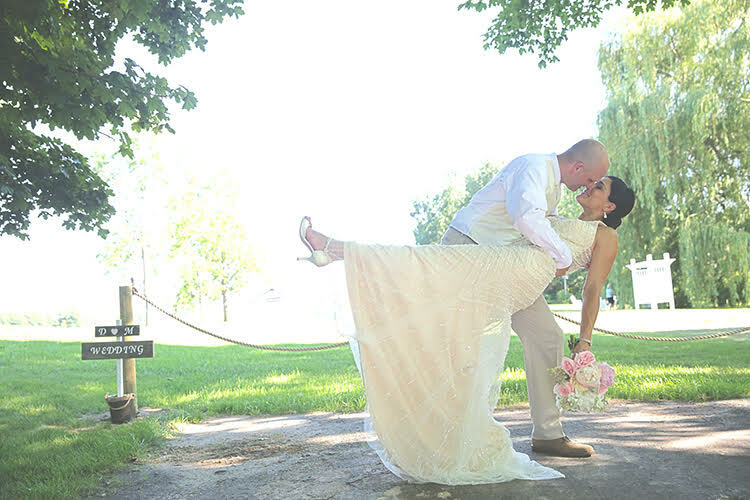 Every romantic detail falls into place as the newlyweds enjoy their time in the beautiful Leelanau Peninsula setting with those most special to them. This package is for wine and cider lovers and you can choose from all of Aurora Cellars vintages. 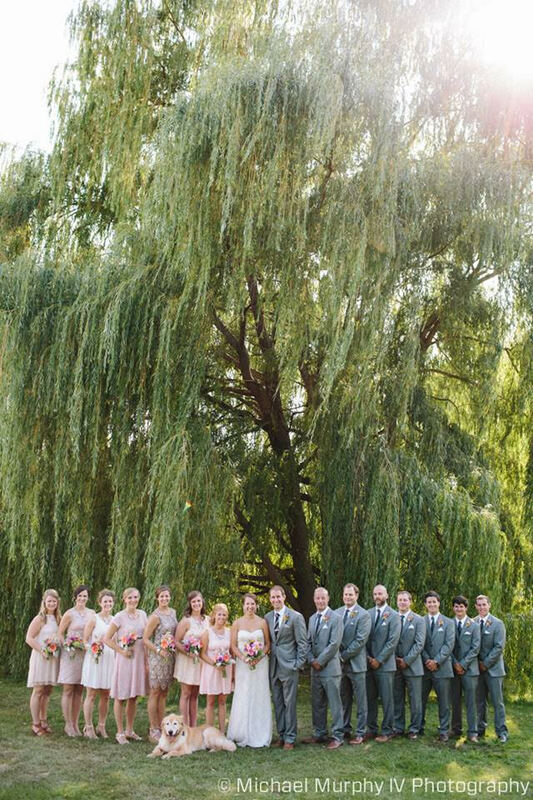 Aurora Cellars Winery is ideal for rehearsal dinners or other special events from 40-80 guests.